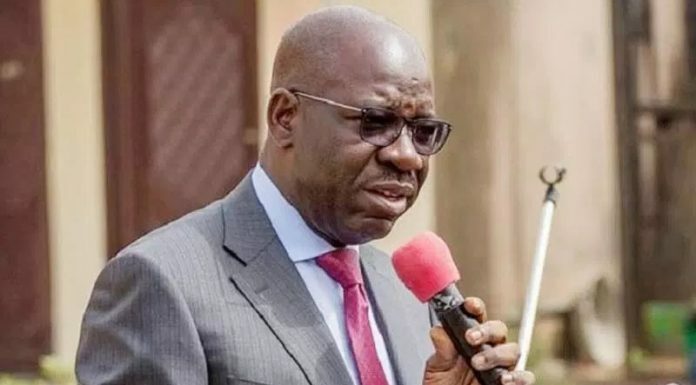 The Edo State Governor, Mr. Godwin Obaseki, has disclosed his administrationâ€™s resolve to commence refurbishment of public schools in the state, urging for support and cooperation of the school-based management committees. He disclosed this during training for school-based management committee of Emotan Primary School in Benin City, Edo State, yesterday. The governor said the School-Based Management Committees will include members of the communities, parents and stakeholders in the governance and administration of schools across the state, as they will act as catalysts for progress. The governor maintained that for such a system to work, the schools must be run properly, and the head teachers should be able to monitor the teachersâ€™ daily using Information Communication Technology (ICT) gadgets. Interacting with pupils of Emotan Primary School, Governor Obaseki reassured them that the state government will commence the school feeding programme of the federal government in the school next term. Welcoming the governor, Special Adviser to the Governor on Basic Education and the Chairman, State Universal Basic Education (SUBEB), Joan Osa Oviawe, said the training is going on in Oredo, Ikpoba-Okha and Orhionmwon Local Government Areas, adding that the exercise will commence in Uhunmwode Local Government Area next week. â€œAll together, we have trained about 11,638 school-based management committees across the state,â€ she added. Chairman of the committee and Chairman, Parents Teachers Association (PTA), Emotan Primary School, Deacon Richard Asemota, said the PTA improved three offices of the schoolâ€™s head mistresses with electricity. He added that they have also put in place a sick bay in the school as well as constructed gates to check incursion of hoodlums into the school.